The Kansas City Kings topped the Austin River Sharks by the score of 8-5, with the biggest share of the credit going to catcher Paul Davenport. Davenport went 4-5 with a double and 3 singles, while adding 4 RBI and scoring once for the Kings on the day. José Betancourt earned his 12th save in 13 tries. Kansas City is now riding a 3-game win streak. 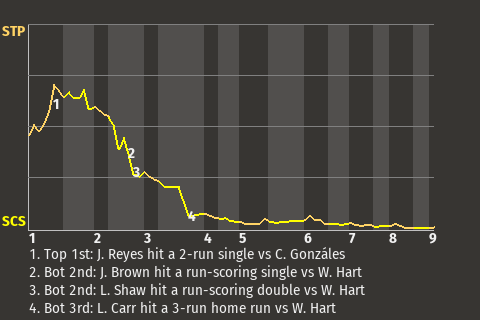 The Kings used some clutch hitting to beat the River Sharks, a good example being the at-bat of Luis González in the top of the second. With two down, González gave his team the lead, 1-0, when he hit a run-scoring double. Davenport told a Kansas City Chronicle reporter that he was "satisfied" with the win.